Do you want to get your defective HP laptop fixed immediately and at incredibly low rates? Then you should be pleased to know that you have come to the perfect place! 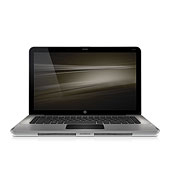 Innovative IT is a Central London based expert HP laptop repair and upgrade center. We have been providing top quality services for residential customers, small business,educational institutions and corporate clients across the UK for more than 15 years. We have a team of expert technicians and engineers, hence we are able to provide all our customers with top quality repair and upgrade services for all HP laptops. Our team of proficient engineers and technicians can provide a full package of services for any HP laptop including the following laptop series: HP 500 Notebook PC, HP Compaq Notebook PC, HP EliteBook Notebook PC, HP Envy Notebook PC, HP Pavilion Notebook PC, HP ProBook Notebook PC and HP TouchSmart Notebook PC models. We complete almost all repair and upgrade jobs the very same day. It is highly unlikely that we will repair your laptop in more than one day. However, if your laptop will require a more advanced repair, we will fix it and have it sent back to you the next day!